Linda Grimes‘ Fix series about a young, female, shapeshifter-for-hire starts as a rompy, love triangle, fantasy comedy. But as the series progresses, the author ramps up the danger factor. Way up. In the first book, it is the protagonist’s client who is in danger. In first sequel, her young sister, also a shapeshifter, is used as a guinea pig in a secret scientific experiment. In the second sequel, a client tries to frame her for murder. In the fourth installment, set to be released by Tor in May 2016, shapeshifters are being systematically assassinated and she has to protect her family, friends, and species. Ciel Halligan, an aura adaptor with a chameleon-like ability to step into the lives of her clients and fix their problems for them?as them?is working a job at the National Zoo with her boyfriend, Billy, and his ten-year-old sister, Molly. 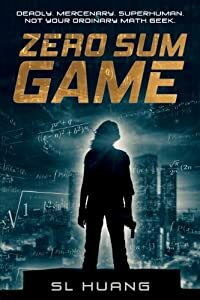 It’s supposed to be a quick fix, giving her time to decide if it’s wise to pursue the romantic relationship her charming scoundrel of a best friend wants, or if she should give Mark, the CIA spook she’s crushed on since hormones first rattled her pubescent brain, a chance to step up to the plate. Molly has already begun to show signs of being an adaptor herself. She’s young for it, but she’s always been precocious, so it’s not impossible. What is impossible is her taking on the form of the baby orangutan she touches?adaptors can only project human auras. Until now, apparently. Worse, Molly is stuck in ape form. She can’t change herself back. Escaping from the zoo with their new baby orang, Ciel and Billy head for New York City and the only person they know can help: Ciel’s brother James, a non-adaptor scientist who’s determined to crack the aura adaptor genetic code. But when Billy winds up in jail, accused of attempted murder, Ciel begins to suspect Molly’s unusual adapting ability is more than just a fluke. Who’s been experimenting on Molly, and what do they hope to gain? And will Ciel survive to find out? Aura adaptor extraordinaire Ciel Halligan, who uses her chameleon-like abilities to fix her clients’ problems–as them–is filling in on set for action superstar Jackson Gunn, whose snake phobia is standing in the way of his completing his latest mega-millions Hollywood blockbuster. There’s only one thing Jack fears more than snakes, and that’s the possibility of his fans finding out he screams at the sight of one. Going from hero to laughing stock isn’t part of his career plan. Seems like a simple enough job to Ciel, who doesn’t particularly like snakes, but figures she can tolerate an afternoon with them, for the right price–which Jack is offering, and then some. What she doesn’t count on is finding out that while she was busy wrangling snakes for him, his wife was busy getting killed. When Ciel goes to break the sad news to the star, she finds out Jack was AWOL from her client hideaway at the time of the murder. Ciel begins to suspect Jack’s phobia was phony, and that he only hired her to provide him with an alibi–but if she goes to the police, she’ll have to explain how she knows he wasn’t really on set. Up against a wall, Ciel calls on her best-friend-turned-love-interest Billy, and her not-so-ex-crush Mark, to help her set up the sting of a lifetime. Staying alive, keeping control of her romantic life, and unraveling the mystery of why adaptors are being pursued becomes a harder balancing act than ever. A genetic quirk means Ciel can take on the appearance of anyone she meets by projecting their aura. This startling ability presents endless possibilities, and she’s one of a rare few who has it…so you’d think it’d be easier finding a day job that lets her put it to use. Actress? Model? Ethically dubious and possibly criminal activities, like her best friend Billy? Ciel’s long-time crush and fellow aura adaptor, Mark, has found his calling as a CIA agent-a life of intrigue, danger, and the perfect utilization of their rather unique skill set. It seems like the obvious choice to Ciel: She could do good and spend time with her crush. What could be better?